Whether we realize it or not the new pattern for business-to-business has already been drastically influenced by our experiences with the new business-to-consumer reality. 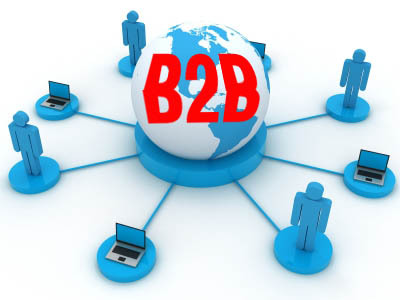 This new pattern is driving a wholesale change in B2B marketing. When we look for information on movies we go to Flixstr. When we look for restaurant information we go to Trip Advisor, Yelp or UrbanSpoon. When you want information on just about anything we look to the internet. We just “google” it up and sort through the results to find the help we want. The pattern is set and underneath it is a fundamental trust we have in sourcing our opinion from other people who might have already experienced the service we are looking for. Companies have a responsibility to tell you how great they are and consumers have every reason to doubt their claims. We trust a restaurant to put their most current menu on their website but we would never trust them to give us a balanced view of the service or the experience of its patrons. If I am looking for a new car the manufacturer will have the best information in terms of specifications and other features but if I want to find unbiased reports on quality or gas mileage I am better of going to Consumer Reports. For a large part of the population the pattern has been established. 1. Identify how your company’s products and services make the world a better place and not from a self-serving perspective. While you are at it brainstorm ways that your company can provide real assistance with – the issues facing potential business partners. 2. Figure out your Freemium model. Many websites have free information or services and allow customers to stop there or subscribe for more depth once they have tested out the service. If you put all your good stuff behind a login it is a guarantee that very few people will ever learn about your depth of knowledge. The freemium model lets prospective customers build a relationship with us – it allows them to decide when they want to move the relationship to the next level. 3. Serve Proactively – Build your Brand. Have your people participating in the conversation being held on Twitter or various forum groups that have been created by people who want to provide resources for people in need. Offering content or suggestions that don’t involve promoting your company aggressively helps new prospects to see your company in a favorable light. Load up YouTube or Vimeo with helpful clips on “how to” use your products. Put your service manuals there with your Service people explaining them. Have your best people share their insights on things like great best practices. Your sales people can share these on LinkedIn or via twitter as a way of building awareness for the good service you offer. They should be proud to associate with the content. If they feel obligated then they are eating into the good currency they have in their business networks and their network will tune them and your company out. If your industry is complicated then provide leadership in the marketplace helping to debunk myths or reduce confusion. This is what we want. If you the biggest in your market then it is what we expect. If you are the smallest then show that you are the leader despite not being the biggest. The internet has created amazing new opportunities for business. In the business-to-business space the pattern has already been set by companies having great success in the consumer market space. Our brains are being patterned to use the same approach when doing business with other businesses. The internet and social media provide a pretty good window into your company. It is more than a good idea to put something on display in that window that is real and meaningful.